Every year since 2007, I’ve shared my income publicly. You can click on the links below to check them out. And if you’re interested in these posts, you’ll likely be interested in my brand new book called Making a Living Writing Books for Kids! It’s 100,000 words’ worth of my tips on, techniques for, and anecdotes about making a living as a children’s writer, available in paperback or e-book (Kindle and Kobo). OK, now on to the good stuff. Here’s my 2017 income breakdown. So, my total income for 2017 was $43,913. That is 94% of 2016’s $46,348. Am I getting rich? Not at all. In fact, I make less money than the average elementary school teacher. Few children’s writers make the kind of money other people think they make! It’s a hard career to make a living with, so any time I earn more than $40,000, I’m pretty dang happy. I hope this info is helpful to you rather than discouraging. This is a competitive field, but it’s also satisfying in a way that no other career would be for me. For more information about earning a livable income as a writer, check out my Writer in Progress, a video/text course where you’ll see what my crazy writing life actually looks like for 30+ workdays. 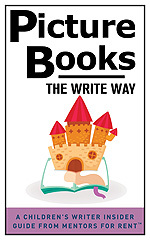 And, again, the book Making a Living Writing Books for Kids might be eye-opening. If you’re making a living solely through the sales of your trade books, I salute you! And if you’re still working on your first trade sale, don’t despair. You can do it! This entry was posted in Laura's Writing Life, Making a Living, Writers in the World and tagged Laura Purdie Salas, making a living, making a living as a writer, writing income. Bookmark the permalink. Laura, Thank you for sharing this information. It’s always helpful when you do; you’re performing a real service to others of us trying to make a living at this frustrating and fascinating job. And congrats on a good year! Thanks, Christy! So glad you find it useful! Thank you, Laura. I always find this annual post of yours interesting and one that I share with my writing students. Your candor and honesty is appreciated! I’ve always believed that talking about money should be encouraged. I don’t understand so many peoples’ apprehension. Knowledge is a powerful tool. I find this report helpful and appreciate your transparency and willingness to share. Thanks. I agree, David. I think, at least here in the U.S., so many people equate the value of their work or of themselves in terms of their income. So if they feel they don’t make “enough” money, they don’t want to share. Anyway, glad you found this helpful! This is the first time I have come across your post. You are amazing to share all this information. Thank you! Even just seeing the breakdown of income categories is really useful. What a great way to intentionally set goals to grow certain categories. I’ve never been very good at setting goals–usually just going where the wind of job offers takes me. You have inspired me to sift through my own financial records and breakdown my income, then set some goals. (Eeek! The thought is both terrifying and exhilarating!) Thank you for your generosity in sharing. Sharon, the thought that this post will make you take some ACTION makes me so happy! Facing the numbers can be daunting, but it really leads to good thinking about what’s important to me, where I want to grow my business, what goals I’m reaching–and not…I think it’s soul-searching that’s also an important part of career-building. Laura – thanks so much for sharing this info! It’s encouraging and educational. You’re welcome, Sandy! So glad you enjoyed it. Thanks for sharing this each year, Laura. It’s very helpful! This is always so helpful Laura, and I really appreciate your honesty and clarity.